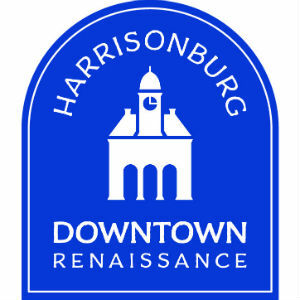 Harrisonburg Downtown Renaissance has selected the Bicycles for Refugee program organizers and participants as the Grand Marshals for its Valley Fourth parade. Harrisonburg is designated as a refugee resettlement area, and there are 51 languages spoken by students in its public schools. To bring attention to the diversity of Harrisonburg, HDR is launching a diversity initiative that seeks to bring community groups and individuals together to find ways to make downtown as inclusive as possible. Last month, HDR announced its partnership with the Arts Council of the Valley and Harrisonburg Tourism on a public art project that takes a cue from the “Love” sculpture downtown and will bring additional “Love” installations in different languages throughout the city. A coalition of a dozen partners led by Church World Service (CWS) Immigration and Refugee Program and the Shenandoah Valley Bicycle Coalition (SVBC) runs the Bicycles for Refugees program. Cycling skills and safety are taught by volunteers to program participants who receive a free bike, helmet, bike lock, and tire pump. The parade route travels south on Main Street, from the Rockingham County Administration Building to the City Municipal Building. HDR is encouraging more community members to enter the parade. Parade participants are encouraged to design a parade entry or float that displays a patriotic theme and/or promotes the diversity of the Harrisonburg community. Entry forms are available at downtownharrisonburg.org/parade. The deadline for entries is July 1. In addition to the parade, Valley Fourth attendees can expect to enjoy a full day of activities, including Beers ‘N Cheers in the Park, live music, children’s activities, a fireworks finale, and more! Many restaurants and other businesses will be open downtown as well. Valley Fourth, organized and presented by Harrisonburg Downtown Renaissance, is the largest community celebration in Harrisonburg, drawing more than 10,000+ residents and visitors to downtown each year. All Valley Fourth activities are made possible by local businesses, organizations, and volunteers. For more information about Valley Fourth, please call 540- 432-8922 or visit downtownharrisonburg.org/events/valley-fourth and Facebook.com/valleyfourth. For more information on Bicycles for Refugees, visit svbcoalition.org/bicycles-for-refugees/ or contact Ritchie Vaughan at Ritchie.Vaughan@KlineMay.com. For more information on Church World Service Harrisonburg Immigration and Refugee Office, visit cwsharrisonburg.org/.